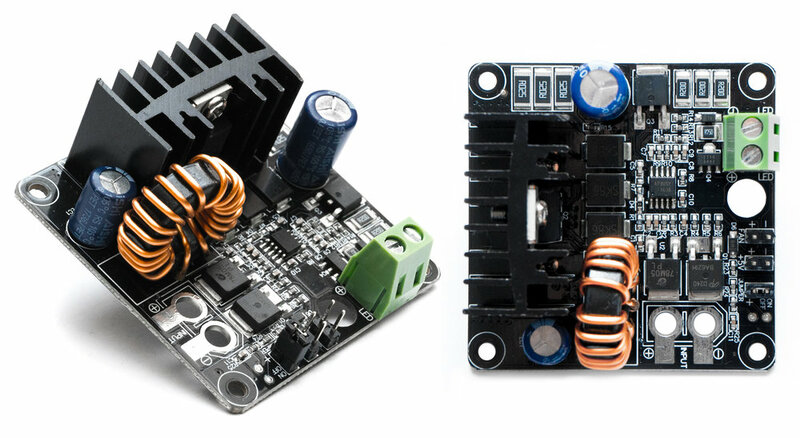 Our 100W LED Drivers are the easiest and most efficient way to run 100W LED chips with DC power sources such as a 12V or 24V battery. 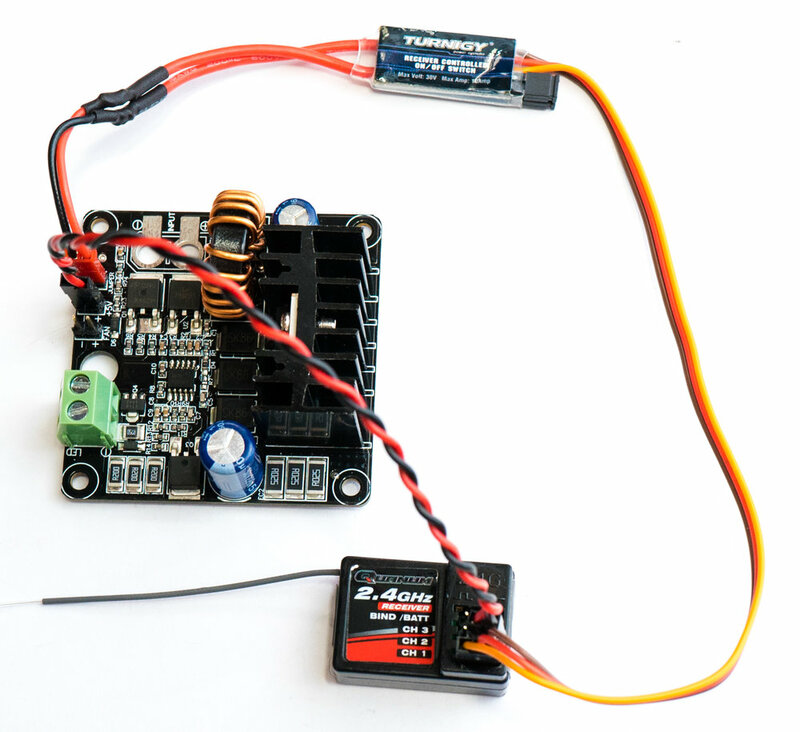 They feature an internal boost converter to allow for input voltages between 11V and 28V. The regulated LED output is fixed at 3500mA for 45mil 100W LED COBs. 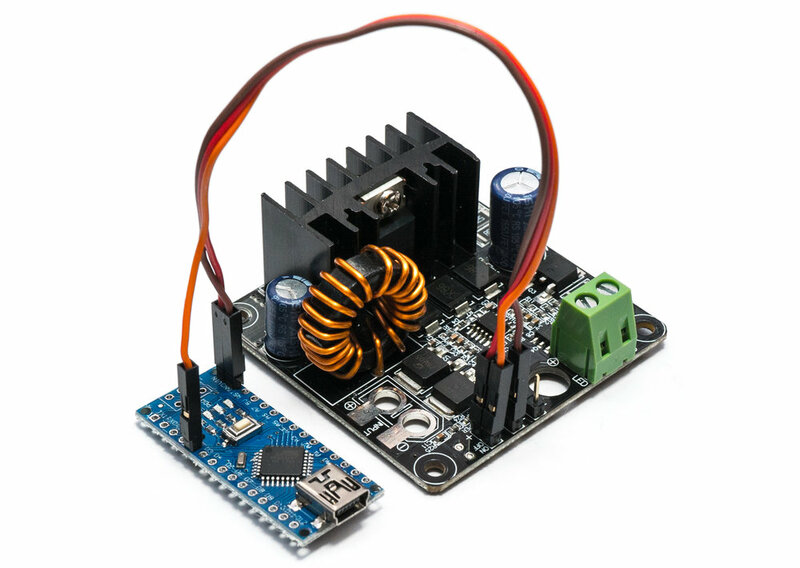 It also includes output pins for a fan and 5V output for Arduino or R/C receiver. LED on/off switching can be controlled by jumping the "ON/OFF" pins or with any 5V logic signal. If signal pin is suspended or provided with < 3V, the LED and fan output will be OFF. If signal pin is provided with >3V LED and fan output will be ON. 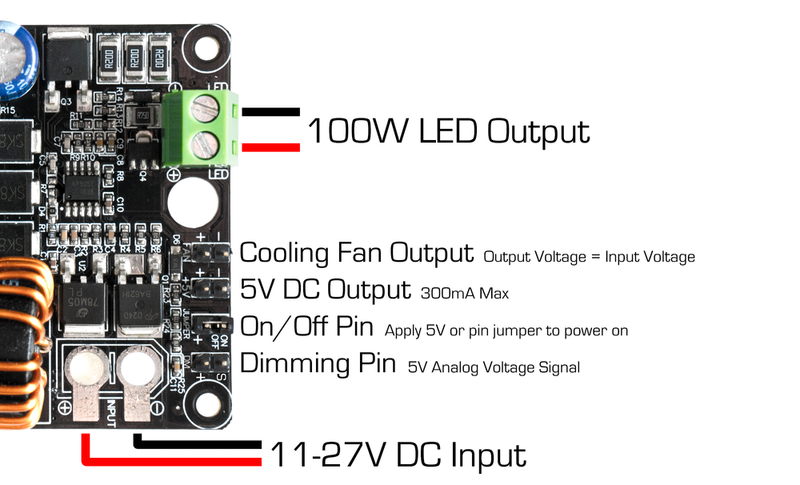 Dimming from ~30% to 100% brightness can be controlled via the "DIM" pin with a 2-5V analog DC signal. 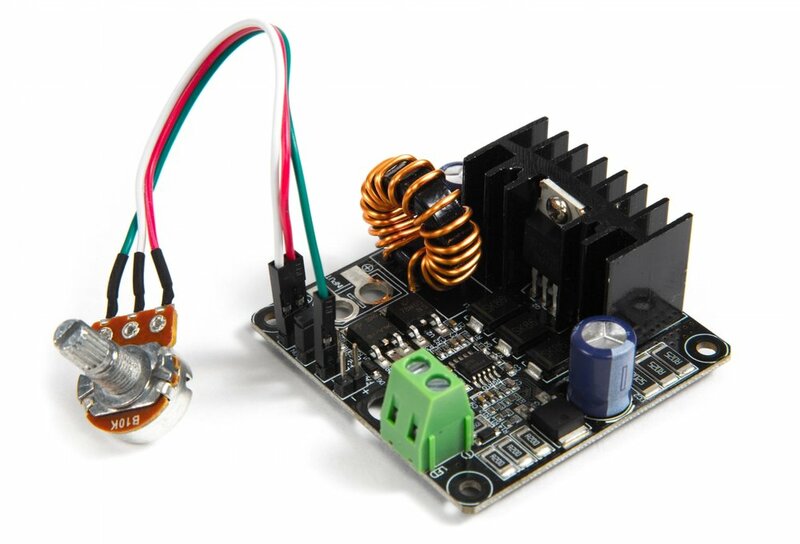 Each LED Driver includes a potentiometer that can be used to generate the 2-5V signal. LED must be capable of 3500mA. 45mil diode size required. Not compatible with 3000mA LED emitters.